Follow Ken on Twitter! It’s Exciting! Folks, let’s all follow Ken on Twitter! Canadian psychologist Frederick Aardema has written an incredibly fascinating book about the OBE, or our-of-body experience. I think I have read every book on the subject written over the past century, starting with C.W. Leadbeater’s THE ASTRAL PLANE published in 1895. With Aardema’s book we finally have a solid academic who is applying a scientific approach that is not purely a skeptical-debunking effort, but actually a very open-minded approach in which Aardema documents dozens of his own OBE journeys which are completely thrilling. Aardema seems willing to admit that the OBE is a real, objective event, and not merely a “brain-only” event. 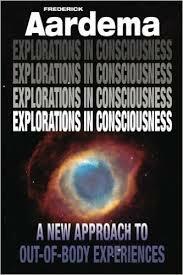 He is open to the idea that consciousness is non-local — anyway, here is my review of: EXPLORATIONS IN CONSCIOUSNESS. In a corner of my attic are stacked more than a dozen dusty cardboard boxes crammed with notebooks. The notebooks are filled front to back with thousands of handwritten entries which are the transcripts of more than 45 years of Ouija Board sessions. I included the word “Lost” for the title of this book because most of the records in those boxes almost never see the light of day once they are filled and filed away. I forget about them. Thus, in a sense, they get “lost” in my attic. With this book, all that will change. The “vault” has been opened! Why now? I’ll explain that later. The reason I took pains to record all my Ouija sessions was not so much because I wanted them preserved for my personal history, but rather, because I discovered that making a transcript on paper was part of the process that makes Ouija channeling work. The presence of a third person taking notes while two others are working the Ouija produces a session more fruitful and productive. A session recorder adds a certain “energy” to the room, even though this person never touches the board. I also discovered that not all Ouija session recorders are created equal. Some people who take notes somehow stimulate better Ouija sessions than others. The same goes for the people who actually put their hands to the board. Over the years, I have had amazing results working with some people, while with others, that special necessary chemistry just wouldn’t materialize. When I paired with a partner with whom I failed to resonate, the planchette might struggle to find a few letters, sputter, stall, or never get going at all. By the way, I am using the term “planchette” for what some people call the “oracle.” This is the heart-shaped or teardrop-shaped pointer object upon which the fingers are rested lightly. The planchette moves along atop the Ouija board selecting letters to spell out words. Planchette is the more traditional term, and probably more internationally known, so that’s the term I will use. 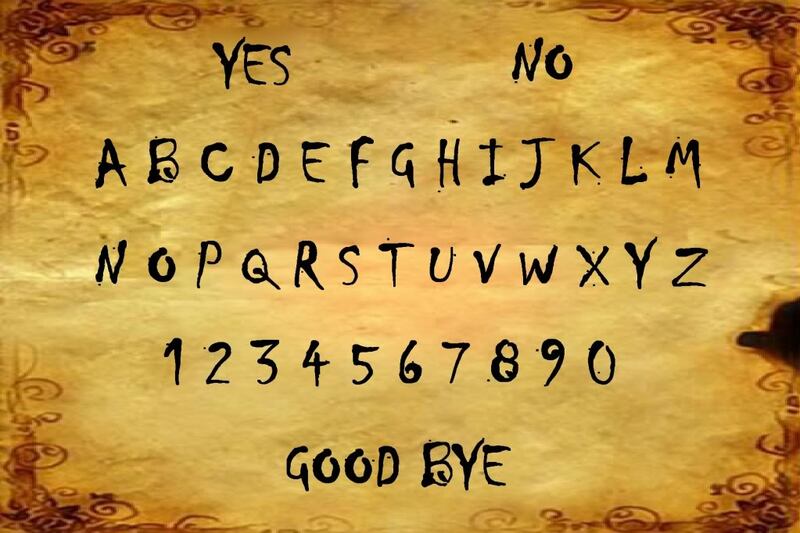 Incidentally, the most common commercially produced Ouija board has long been sold by Parker Brothers, and this company is in turn owned by the giant toy maker Hasbro. As far as I know, Parker Brothers still owns all the trademarks and patents for the Ouija board, which it purchased in 1966 from William Fuld, Inc. I mention this because one of the primary charges made by skeptics against the legitimacy of the Ouija board is that it’s “just a toy made by Parker Brothers.” Hundreds of people in online forums also frequently say, “It’s a toy made by Mattel!” but I don’t believe that Mattel carries its own version of the Ouija board –– which, again, is now trademarked by Parker Brothers. The point is: I will demonstrate later in this book exactly why this “It’s-just-a-toy” charge is not valid criticism of the Ouija board as a useful tool. The Ouija board can be a toy, certainly, but it can also be something much more. As human beings, we are Individuated Units of Consciousness. But as I will show you, we are not alone. There are other Individuated Units of Consciousness out there, but not all of them are human. Some where never incarnated as human beings, but have had lives as other life forms on other planets, or they never had a physical reality existence at all. I also will be introducing you from time to time in these pages to what I call my “A Team” for Ouija work — myself, and my friend Brian, who is autistic and has frequently worked the Board with me, and Darcy, perhaps best Ouija Session recorder I have had in four decades. However, over the years, I have conducted Ouija sessions with all kinds of people in my travels and the different locations I have lived — from my college days to moving and living in various cities as I pursued my career as a journalist. But before I get too far ahead of myself, let me start at the beginning. When I was seven or eight years old, in 1967, my four siblings and I received an Ouija Board as a gift from our mother. Mom was a devout Catholic, but she knew nothing about what an Ouija Board represented to so many other people. She knew nothing of its nefarious reputation. She assumed that because it was sold at Woolworth’s in the toy section, and that the Ouija was a Parker Brothers product, it was merely a fun game for kids. I know many readers may be horrified that a family of innocent children were not only allowed to play with an instrument considered by many to be a powerful doorway to unspeakable evil — and that this “demon summoning” device was also placed into the hands of children by their own God-fearing, Polish-American-Catholic mother! But the malevolent reputation of the Ouija board is absolute nonsense. These superstitions and false belief systems are gleefully promoted by religious fundamentalist types and Hollywood. Certain brands of Christians — I don’t lump all Christians together — but certain fundamentalist kinds of Christians — actually love the idea that the Ouija board might be a Demonic Doorway, and that is ever-ready to lead a few bumbling saps to satanic possession. Promoting this idea helps instill and nurse the fears some groups think they need to keep their flocks in line. In more than 45 years of working with Ouija board, I have never had any problems with demons, evil spirits, possession, poltergeist activity, bad luck or any other dark forces invading my life. (Note: Have I ever communicated with demons on the Ouija? The short answer is yes, and I will present the first of those transcripts in the next chapter. As I will demonstrate, there are ways to handle these “troublesome” entities. But are they truly demons? Stay tuned). Even so, way back in the day, my siblings were innocent kids with fresh souls easy for the picking, yet the Ouija board was never anything more than a source of lighthearted fun for all of us. 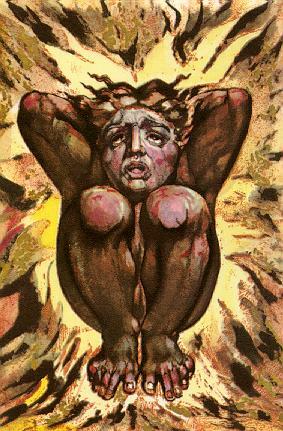 I assure you, now in my fifties, my soul remains thoroughly intact, my soul is under my complete control, and my soul is certified-uninfected by demonic forces. During those first Ouija sessions as children, we didn’t try to contact specific spirits or entities. We just weren’t sophisticated enough to think that way. We lived in a small northern Minnesota farming town with a population of 700 people. My mom and dad owned a small grocery story on Main Street. We all lived in an apartment attached to the back of the store. Our home was humble, a bit cramped with five children, but nice. A doorway in the living room led right into a warehouse behind the grocery store. The grocery store was the center of my mom and dad’s existence. It provided a good living for our family. My four siblings and I worked in the store after school and on weekends. It was a family run business, to be sure. We were comfortably middle class in terms of what it meant to be “middle class” in a tiny northern Minnesota town where perhaps 98 percent of everyone was more or less inhabiting the same economic plane. That was my perception, anyway. 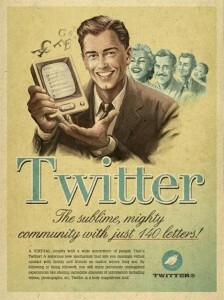 It was the mid-to-late-1960. Our contact with the outside world was not significant, although we certainly were not isolated from what was going on nationally and globally. After all, we had a television, although we only could tune in a couple of snowy local channels. 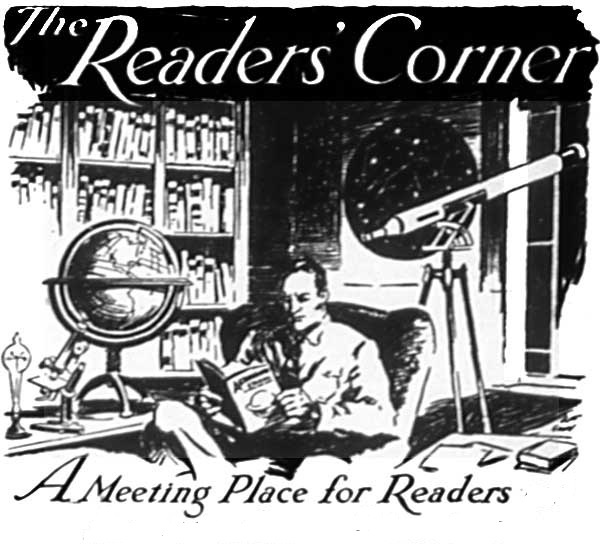 We had radio, read newspapers and books. (I and one of my brothers read a lot of books. My parents did not read books). Yes, we were informed, but we were not exposed to much occult stuff, and definitely not any of the New Age influences which were beginning to emerge in the 1960s. Sure, special people such as Jane Roberts in New York was already developing the Seth Material — Roberts began channeling the disincarnate entity “Seth” in 1963 when I was four/five years old. Robert Monroe was already deeply engrossed in blowing the lid off out-of-body travel in Virginia in the 1960s, publishing his first OBE BOOK, “Journeys Out of Body” in 1971. But this kind of esoteric activity might just as well been happening on the planet Neptune from my vantage point, a child of a tiny Minnesota community. I am certain that no one in my family had even heard of such figures as the long-famous “Sleeping Prophet” Edgar Cayce. My mom and dad simply were not informed along these avenues, and neither were I or my siblings. Certainly our Catholic upbringing informed us about Satan, hell, demons, evil — and the opposite, angels, saints, the Holy Spirit, and all that — but as far as I was concerned, these were abstract concepts. My mother was unaware of any connections between and Ouija board and Satanic influences. As I said, mom assumed it was just another Parker Brother’s toy. As for our dad — he was absolutely 100 percent oblivious to any of his children’s activities. I’m not even sure if he knew what our names were. Anyway, when we “played” the Ouija board, we were unencumbered by parental sanction, pro or con, or sundry outside influences. We innocently addressed our questions directly to “The Ouija Board” and hoped for interesting answers. We came at the Ouija with minds wide open and fresh with youth and uncontaminated. The fact that we were free of preconceived notions and expectations is probably part of the reason we were granted incredibly interesting, often tantalizing responses to our Ouija questions. As we get older and our minds becomes more convoluted, complex and weighed down with pre-packaged belief systems, it becomes more difficult to allow what is essentially “channeled information” flow. (More on the role of expectations later in the book). The Ouija was always quick with unexpected answers for questions like these. For example, one of the first questions I asked the Ouija was: “How old will I be when I die?” — a perfectly natural question for an 8-year-old to ask, I suppose. The Ouija not only had an answer for me, but supplied plenty specifics as it made its prediction about my death. The Ouija had a smooth reply for everything. It also was ready to supply as much, and more, detail than we could have possible wanted. The Ouija Board said that I would eke out my existence on the mean streets of inner-city Detroit. My fall in social status obviously would be steep: From Navy admiral to a life of digging through filthy trash cans. I would be looking for junk to sell for small change, said the Ouija. It said that before I devolved into mucking through garbage, I had a relatively good thing going as a street bum: I stood on a corner with a tin can and/or small box filled with pencils, which I sold to passersby. The pencils sold for $4 each. We considered this price for pencils to be unusually high so we asked the Ouija board how this could be so. The Ouija said that my street-corner pencil scam came to an abrupt end when my third ex-wife’s cousin caught me stealing pencils in his variety store and banned me from the premises for life. It was then that I switched to sifting through garbage for items I could sell for pennies, all of which I used to buy cheap wine. My death would come about when a fellow wino became angry with me for butting into his “street territory.” The Ouija board said that my assailant knifed me to death after an argument inside a neon sign shop which we had both entered to get warm on a cold winter afternoon. Of course, none of this came true. I didn’t die at age 41, I never served in the Navy. I didn’t even become a heavy drinker. I’ve been married only once, and still am married to the same lovely woman today. But this colorful story, complete with unexpected details was peculiar indeed! How did this Ouija thing work? Where was it coming up with all of these creative answers? It made us eager to see what the Ouija would say next. During those first early sessions (which we did not write down, so I’m recalling these first forays into Ouija information by memory) we also asked the Ouija Board when my younger brother, age six, would die. Again, the Ouija was ready with a tall tale. It said my little brother would die at age 18 from, of all things, radiation poisoning. Here again, it was the creative details that came across the board that made the story unusually captivating. The Ouija said he would get a job right after high school as a garbage man, and that someone would illegally unload radioactive material into an industrial trash container. My brother would get exposed to this during his job as a sanitation worker and die. (Note: In retrospect, this is intriguing since the city of Monticello is the location of a nuclear power plant today. The plant came online in 1971. It probably would have been under construction at the time of our Ouija session. As children, we had no knowledge of a nuclear plant in Monticello, especially before it was completed). Once again, despite the interesting confluence with the Monticello nuclear plant, the story of my brother’s death turned out to be another heap of Ouija baloney. My brother never became a garbage man, and never had contact with deadly radiation. My brother is still very much among the living today, and well past his 18th birthday. But consider how odd this is. I mean, take the story of my future death in a Detroit neon sign shop. We lived in a small farming community in a remote corner of northern Minnesota. We hardly ever traveled more than 30 or 40 miles from our little town. The nearest city of some size was 45 miles away, and its population was about 6,000. The closest “big city” was Minneapolis some 300 miles to the south. None of us had ever been to Detroit, we knew no one from or in Detroit, and it was unlikely as children we would have thought of something as colorful as getting knifed in an inner-city street brawl — and in a neon sign shop to boot! So, right from the beginning, there was the sense for me that there was something more to the Ouija board than merely a “game.” On the other hand, none of us never afforded the Ouija any credit for possessing any true power. We just didn’t think about it that way. Was my green eight-year-old mind troubled by the bleak future of alcoholism, poverty and death the Ouija had mapped out for me? I thought it was strange and fun. Back then, the age of 41 seemed like a million years away. So what if I died in that distant future? We weren’t worried, though. We thought the answers the board gave us were not only hilarious, but amazingly imaginative. When we had question which we believed our mother might find objectionable, we were careful to move to a more private location for our Ouija sessions, such as a bedroom with a closed door. Interestingly, among the five of us children, we tried a number of combinations working the board, but it worked best by far when it was when myself and oldest brother at the controls. In fact, any other combination hardly worked at all. I later discovered that one of my best friends from the neighborhood also made for very productive Ouija sessions when he and I worked together. Thus, to make sure neither my brother nor I were cheating, we began the practice of one of us being blindfolded. We would take turns at this. With one of us blindfolded, we found that the Board moved sometimes moved even faster and became even more creative in its answers — at other times, it would be stymied. We tried working the board with both users blindfolded — and this didn’t work at all. Of course, most people, the so-called skeptics, will quickly pounce on this as proof that the Ouija is nothing more than a clever parlor game … but not so fast. Much later, I would learn that the fact that the Ouija does not work when both people are blindfolded proves nothing. As I will argue later in this book — the double-blindfold test is actually irrelevant. It is not “proof” that Ouija information is an artifact of the subconscious mind. That’s because removing the ability of the players to see the letters of Ouija board does not address the true nature of the “mechanics” of this kind of channeling tool. I’m going to leave this subject for now because I will discuss it thoroughly in a later chapter — but let me repeat — that fact that two players cannot work the Ouija while blindfolded is in no way a satisfactory explanation to discount the information that comes across an Ouija board. See Chapter 14). It wasn’t long before our Ouija board communications began to expand beyond our routine “what’s-my-future-forecast” kind of questions. Even more importantly, the Ouija board occasionally began to spontaneously change the direction of our sessions, as if it had a mind of its own — much to our surprise. During one session, for example, we were asking the Board random questions about our future lives when a “dead man” by the name of Hal Witzman suddenly interrupted our explorations. That’s when we made contact with our first “spirit” or “dead person.” This is something we had not intended, but which happen spontaneously. It was as if some “Other Force” decided it was time to barge into our childish Ouija shenanigans whether we were ready for it, or not. As it turns out, subsequent questioning revealed that the “party” that was spelling out, “Let me talk to you…” was a spirit who identified itself as Mr. Hal Witzman. As it happens, we knew who this was. Hal Witzman was a retired plumber in our small town, but he had died a couple of years earlier. We all knew Mr. Witzman when he was alive. I’m sure he had been to our home and fixed a leaky pipe or two over the years. At any rate, everyone in a small town knows everyone else. Even so, we were surprised that Mr. Witzman now desired to speak to us from beyond the grave! Why him and why now? How strange! Whatever the case, we were thrilled. We were about to speak to our first ghost! This line of questioning quickly went stale, and we grew bored with it. Unfortunately, this prompted us to ask the deceased plumber some rather lippy, insolent questions. For example, we asked him if he felt that he had wasted his life toiling away as a small-town plumber, and did he wish that he had done something more interesting with his life. This prune peddler comment was a swipe at my dad’s occupation as owner of our town’s primary grocery store. Our insult exchange only began to escalate after he besmirched our father. For example, we told Mr. Witzman that his wife of 40 years had remarried within six months of his death, and that she had never once visited his grave. (Note: All of which was true, by the way. The widowed Mrs. Witzman wasted no time in latching onto a local dairy farmer, whom she married just six months after the funeral of her husband). This information infuriated the dead plumber! Mr. Witzman began to threaten us. He promised that we “little rat children” would get another good night’s sleep because he was going to haunt us from the grave. We had a good laugh at this. But we also thought this was hilarious. Our mother didn’t think it was so funny when she got wind of it, however. She thought it gruesome and morbid that we were talking to the ghost a former resident of our humble community, and that we were mocking him while also trading nasty barbs and purple language. When the salty remarks started piling up, mom took the board away from us for a while. We were forbidden to conjure up the dead plumber again. So perhaps this would be a good juncture in my narrative to share with you one of the first actual transcribed entries from The Lost Ouija Board Files. It’s among the more interesting exchanges we conducted in those early years with a local person from our community who had passed on, but whom we were able to conjure with the Ouija board. First some background: The year was 1968, I was approaching age nine. I had been using the Ouija regularly for about a year, or so. It was a lovely summer day, and my brother, a year older at age 10, and some friends from the neighborhood were noodling around with the Ouija. In this session we sought contact with a dead man whom I’ll call Tiny Smyth. Actually, Tiny was his real (and ironic) nickname when he was alive because he was an enormous guy — meaning he was seriously overweight. He was fat. For the record, be advised that “Smyth” was not his real surname name. It would be neither polite nor sensitive to reveal his actual name even on the small chance that local people in my tight-knit community might still remember him, even though he has been gone for more than 60 years now. Also, please remember that we were kids (little brats), and thus the rather naive tone of the questions and exchange. So here is the session, from my records. I am adding some commentary from the present based on my memory of the event. For your convenience, all replies as spelled out by the Ouija board will be printed in ALL CAPS. Opening statement: Dear Ouija board, we are seeking communication with the dead soul of Tiny Smyth who passed away about five years ago. Will Tiny Smyth speak with us? Are you there, Tiny? (Note: The planchette began moving briskly across the board, choosing letters, spelling out words). ANSWER: WHAT DO YOU WANT? Question: Do we speak with the spirit of Tiny Smyth? ANSWER: YES. LEAVE ME ALONE. Question: We just want to ask you a few questions. What is it like to be dead? ANSWER: YOU KIDS BETTER LEARN SOME GOD-DAMNED RESPECT FOR YOUR ELDERS! Question: You are no longer our elder. You are dead. Are you in heaven or hell? Question: We’re probably not as close as you are. Why are you so cranky? Are you suffering in the afterlife? Question: We just want to ask you some questions. We are curious about what it is like to be dead. Are you still fat, or are you a weightless ghost now? ANSWER: LITTLE BASTARDS. SHUT UP. Question: Just tell us where you are. Are you in heaven, hell, or maybe in purgatory? ANSWER: I AM GOING TO A POUND A RAILROAD SPIKE INTO KENNY’S BRAIN. THEN HE WILL KNOW WHAT’S IT’S LIKE IN THE AFTERLIFE. ANSWER: I’M GOING TO CHOKE HIM WITH A STRAP. (Note: We all burst out laughing again). Question: How are you going to do that? If you’re a ghost and you try to pick up a knife, won’t your hands just pass right through it? ANSWER: I’M GOING TO MAKE YOUR MOTHER KILL ALL OF YOU IN YOUR SLEEP. Question: Our mother threatens to kill is all the time. She never seems to get around to it. But, anyway, how are you going to get out mother to kill us? ANSWER: I WILL IMPLANT A TAINT. Question: A what? What do you mean? ANSWER: A TAINT TO HER MIND. Question: What will that do? How does it work? ANSWER: YOU’LL FIND OUT AFTER YOUR MOTHER HAMMERS A SPIKE INTO YOUR SOFT BRAIN. Question: Why will Kenny be spiked and Mike choked? Why the different methods? ANSWER: I WANT TO HEAR ONE SQUEAL LIKE A PIG WHEN HE DIES. Question: Who will squeal, the one that will be spiked in the brain, or the one being choked? As it happens, our Uncle Benjamin was visiting our home at the time. Thus, we put the Ouija aside and went out to talk to our uncle, who, as it happens, once worked with Tiny Smyth at the fertilizer plant in town. We asked our uncle if he knew any stories about Tiny. Our uncle was surprised by our question. He asked us: “Why on earth do you kids want to know about Tiny Smyth, of all people? He’s been dead for years! “Well, now that you mention it, Tiny was a comical guy, that’s for sure. He wasn’t much of a ladies man. As far as I know, he had only one date in his life. He asked Charlotte (a secretary who worked at the creamery, which was just across the alley from our grocery store) to go out with him one time. Charlotte was pretty, so everyone was amazed that she agreed to go out with him, but she did. Tiny was fat and sweaty all the time. And his car was a crummy old rusty Pontiac. In fact, he had to carry around a jar of gas in the car — he had to lift the hood and prime the carburetor with a few drops of gas every time he wanted to start it. “Anyway,” my uncle continued, “Tiny picked her up on a Saturday evening with this rusty heap of a Pontiac. As they was driving through town, he told Charlotte that he needed to stop at the restaurant for a minute, and that she should wait for him in the car. “So she waited in the car, and Tiny went into the restaurant. But that ‘minute’ Tiny said he would be inside soon turned into five minutes, then 10, then maybe 20 minutes. Charlotte was understandably nettled waiting outside on the moldy seats of Tiny’s crummy old car. It probably reeked of fumes inside because he kept that jar of gas in the back seat. That’s the gas he needed that to prime his engine. After 20 minutes, she went into the cafe to find out what had happened to him. When she got inside the restaurant, there — lo and behold! — she saw Tiny eating a steak dinner with all the trimmings! Armed with this bombshell new information about Tiny, we returned to the Ouija board about an hour later, and again called forth his spirit. Question: We again seek communication with Tiny Smyth. ANSWER: YOU HAVE NOT LEARNED YOUR LESSONS. YOU WILL DIE! Question: But if you kill us, won’t your soul be cast into Hell, or are you there already? ANSWER: SOON YOU WILL BE OVER HERE, AND THEN YOU WILL BE MINE. Question: What will you do with us in the afterlife? You won’t be able to kill us again because we will already be dead, like you. Question: Will we be your slaves? ANSWER: YOU WON’T HAVE IT THAT EASY. Question: Why don’t you apply a taint to the mind of Harold Grimm? The planchette suddenly stopped moving across the Ouija board. It almost seemed to us that Tiny Smyth was stunned into silence. So we prodded him again. Question: Tiny, are you still there? What do you think of our plan to apply a killer taint to the mind of Harold Grimm? (Note: Finally the planchette started moving again). ANSWER: WHY WOULD I TAINT HAROLD GRIMM? Question: Well, as you know, he’s Charlotte’s boss. And if you got him to kill Charlotte, then she could be in the afterlife with you, and maybe you could take her out on a wonderful date again. (Note: There seemed an extended period of silence. Finally, the planchette began to move again). ANSWER: YOU WILL SOON GARGLE YOUR OWN BLOOD, AND YOUR MOTHER WILL DO THE KILLING! (Note: At this, we lost it and started laughing so hard we found it impossible to continue the Ouija session, and so we finally let Tiny Smyth rest in peace). Later, however, after the fall of night, when the world just doesn’t seem as safe and cozy without the sun shining, we began to worry about Tiny Smyth’s threat to apply a murderous “taint” to the mind of our mother. My brother and I discussed it. We decided we should take precautions. In the wee hours of the morning, my brother and I would dig out our bottles of Holy Water, which we had received as gifts when we underwent the First Communion Sacrament in the Catholic Church. Armed with our vials of blessed water, we would sneak into our mother’s bedroom at night, bless our mother by sprinkling her with the sacred juice, and thus provide her protection from any harmful forces from beyond the grave. We waited until about 2:30 in the morning when we sure our mother would be deep asleep. Groping our bottles of Holy Water, we tip-toed through the hushed darkness of the living room of our house, entered our mother’s bedroom, where we found her in bed, sighing softly in slumber. I opened up my bottle of Holy Water. I put some water in my hand and just shook some gentle droplets in my mother’s general direction. Then my brother opened his bottle, and, using his own method, he gave the open end of the bottle a vigorous thrust toward my mother, sending a heavy stream of cold water right into her face! My mother shrieked and bolted upright, shocked awake by a bracing splash of sanctified water, right in the kisser! My brother and I charged out of the room. In the dark living room, running hard, I rammed myself into a piece of furniture, jamming the arm of the chair into my ribs. “OOFPH!” I fell backwards, losing a grip on my open bottle of Holy Water, sending it high into the air and clattering across the hardwood floor. Liquid blessings splashed everywhere! There was my mother, standing over me looking down at me with murder in her eyes. My brother had since gained the bedroom I shared with him and was safely back inside with the door closed. As I recall, the irony of the situation flooded immediately through my mind. Our original goal had been to bless our mother with holy water to prevent the murderous taint of Tiny Smyth from entering her mind — and now here she was, ready to throttle me for throwing cold water in her face while she slept. Grabbing my throbbing ribs, I hobbled off to bed, first glancing around for my bottle of Holy Water, but I quickly decided to leave it because I wanted to flee the scene as quickly as possible. My brother and I spent a fretful night thinking about the punishment that awaited us in the morning. But when morning came, our mother only greeted us with a mysterious smile. She said nothing about the incident of the night before. We thought she was toying with us, letting our minds stew with dread over the punishment that we felt was inevitable. We peddled our bikes through the streets of our small town, and continued until we were about a mile from city limits, riding the shoulder of Highway 32. Somehow, we ended up at the cemetery for Catholics. We got off our bikes and walked among the graves until we found the tombstone of Tiny Smyth. We contemplated his grave for a few minutes. Without another word, we turned and peddled our bikes back into town. So that’s just an example of the kind of Ouija experiences I encountered as a child. I could probably write an entire book on the small army of local small-town spooks we spoke with via the Ouija Board during those early days of my practice. But I think the examples I presented from my early Ouija channeling efforts demonstrate why this strange hobby took hold as a lifetime interest. “Is the Ouija something that is ‘real’ and ‘legitimate’ or is it merely a parlor game that enable clever people to somehow come up with even more clever stories? Be patient. These are actually complex questions. I’ll delve into them and hopefully provide some illuminating perspective, all in good time. Incidentally, you may find is confusing or curious since I have already told you that the Ouija’s story about my death at age 41 turned out not to be true. You might think I’m a lunatic, then, to suggest or believe that anything the Ouija spells out is nothing more than nonsense and rot. But that’s not what I have concluded. Remember, I have been at this for some 47 years. Over the decades, I have come to conclude that Ouija information can be either true or untrue, sometimes legitimate, sometimes not — just like any information you receive from any information source in your daily life today. You don’t believe everything you read, do you? You don’t believe everything you see on TV. You don’t believe everything the media tells you … and how about all that stuff on Internet? All the information you get there is hard fact and total truth … right? I have come to understand that the information that comes across the board is every bit as reliable — and unreliable — as any other kind of information you receive from any source within your everyday life. Keep in mind: The answers to the questions about what is real and not real are concepts that are far more complex than most people suppose. I will put off these issues for later chapters because, for now, I want to continue to roll out more of my transcripts. That’s because I want readers to get a feel of the variety and scope of the kind of information I have received via Ouija channeling before I discuss some of the more technical, philosophical and thorny issues surrounding this subject … and, after all, the transcripts are just more interesting than theory! We’ve lost nearly a billion monarch butterflies since 1990 and colony collapse disorder continues to devastate our bee populations. If these critical pollinators dwindle further, all of us could be in very big trouble. 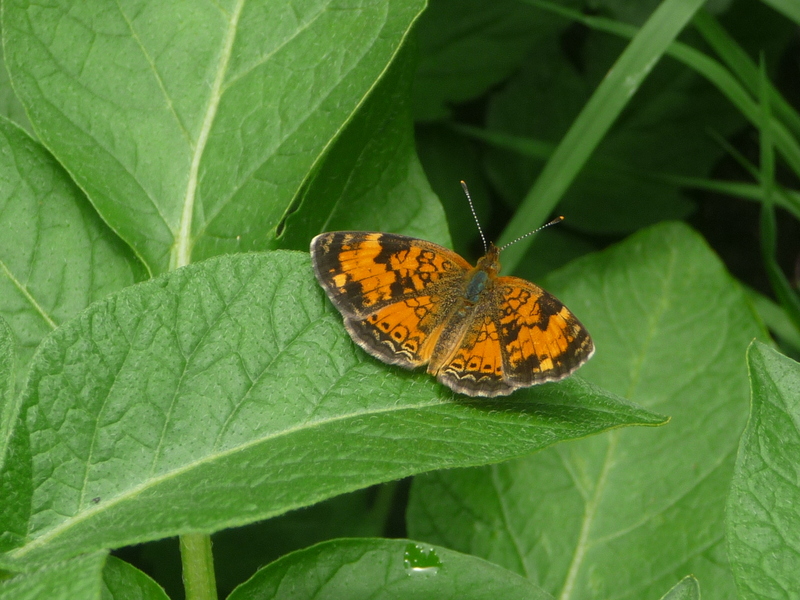 Bees and butterflies pollinate the foods we eat.